Competition will be held on newly revised maps. The Ta’oz map is located within the Yitzkak Rabin Park, which occupies an area of around 15,000 dunam in the Shaar HaGai area. The park consists mainly of planted forests, and gives visitors an opportunity to see a variety of different geographical segments and historical sites that represent the history of the Land of Israel. The park includes areas of woodland where a variety of wildflowers bloom in the winter and spring, terraces bearing traces of ancient agriculture, and sites of historical and archeological interest that provide evidence of continuous Jewish settlement in the area since Biblical times. The remains of a Roman road, Byzantine and Ottoman ruins, and the remnants of comparatively recent settlement – blend to form the varied and interesting landscape of the park. 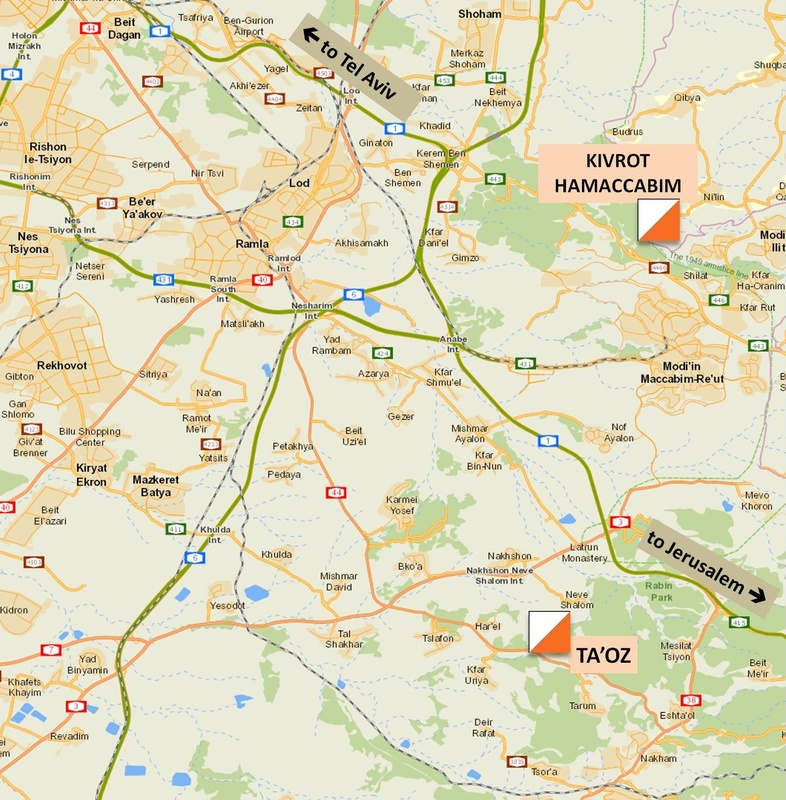 The Kivrot Hamaccabim map is located within the Ben Shemen Forest, where orienteering events are held throughout the year. Halfway between Jerusalem and Tel Aviv, Ben Shemen is the largest forest in central Israel, and offers a diversity of hiking routes, bicycle paths, picnic areas, archaeological sites, a profusion of wildflowers in winter and spring. In the area of Ben Shemen Forest known as Kivrot Hamaccabim (the Tombs of the Maccabees) there is a small hill on top of which are two rows of graves and a small burial cave. Nine tombs are carved in the bedrock. Tradition attributes these graves to the Hasmoneans and the Maccabees of ancient Israel.